That's great to hear, really looking forward to it. That's pretty much where I am this year...unless some surprise comes up that I just have to have. This is one of the best looking collabs in a while. Everything about it screams practicality IMO. I’ve been looking forward to this one too. Very nice design. Been excited about this one for a while. Why put the wire type pocket clip on a large knife, i don't like the wire clip on a smaller knife but it's no place for it's type on this knife. I have to agree to some extent. I do think a wire clip will work fine on the knife - the larger ones are plenty strong in my experience (heck the monster Autonomy even uses them). What got me was seeing pics of AP’s custom pieces that this was based on and they all had lovely solid clips (some pretty fancy). Seeing how nice those knives were, and honestly how amazingly close the Spyderco production version is, sent me over to Ripp’s Garage Tech to pick up one of his replacement clips. I have ones on my SpydieChef and Techno and they’re great EXCEPT for their ridiculously high price - thankfully I bought them as “blems” for half the regular price. I think it will really dress the Kapara up nicely. I have no problem with the wire clips on my Sliverax or M2 LWs. I'm glad they went with the wire clip on the Redback. I won't say the hourglass clip on this would be a deal breaker but I'd much prefer the wire clip. Wire clip is the best clip Spyderco makes, imo. Happy to see it on this! What i have noticed about the wire type clips, they do not hold as good as a standard type Clip and they have the bad habit of coming lose. The standard Spyderco clip has three screws to hold it tightly, the wire clip just has one screw. I have a lot of knives with the wire clips. The only issue I've ever had with one coming loose was on one of my Dragonflies. I used a little blue loctite and tightened both sides and it hasn't been a problem since. BTW, I've also had the 3-screw hourglass clips come loose. I used a little blue loctite on those screws too. The wire clip on this one sealed the deal for me. I think it was a great choice. 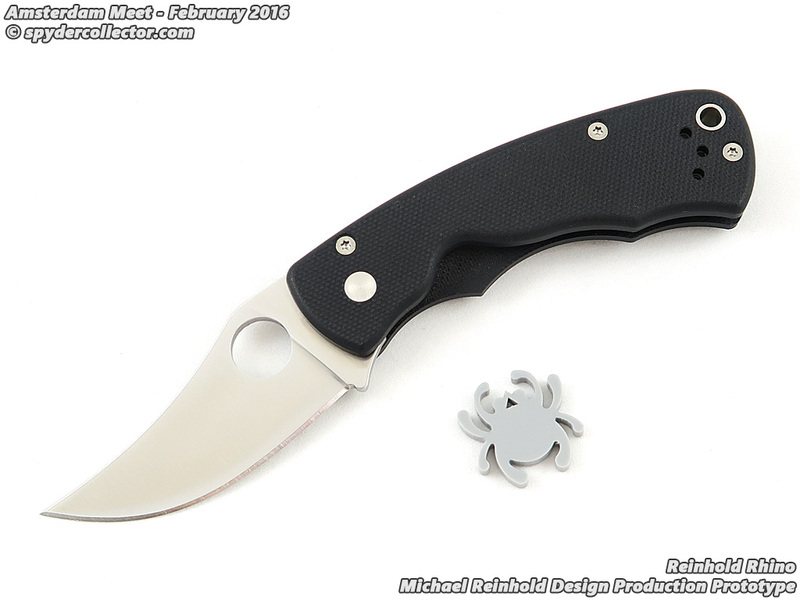 These days, I almost exclusively buy and carry Spyderco offerings with a wire clip and I have never had one come loose. I have however seen two stamped clips snap off of two different offerings. Not saying I think that makes the stamped ones weak, I'm just sharing my experience. I far prefer the wire clip. Heck, they put it on the 100 Pacer!